This new Level 2 apprenticeship combines work at either a craft or retail butchery, with training in our commercial facilities. In addition to gaining your apprenticeship, you will complete food safety, knife skills, and food hygiene certificates. You will develop your knowledge of butchery theory, complete a workplace log book to demonstrate your on-the-job learning and undertake practical training to develop your cutting abilities. 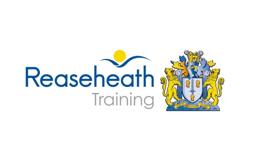 A dedicated Reaseheath Training Account Manager will be assigned to an employer to assist with recruitment and provide support with funding and standard enquiries.